METTLER TOLEDO Safeline T and ST Series metal detectors are designed for installation in vertical packaging applications. These detectors are able to detect metal contamination within product ‘in-flight’, typically as it passes from a weigher into a bag maker or packaging machine. 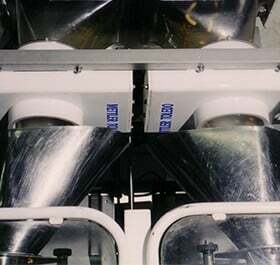 T and ST Series detectors are particularly suitable where metallised film packaging materials are used in vertical form, fill and seal bagging operations. Inspection of the product takes place immediately before it enters the bag, overcoming any limitations created by the wrapping material – and ensuring the highest levels of sensitivity are achieved. The use of ultra-high-frequency operation and multi-frequency technology, combined with new software algorithms, enables the signals given off by all metallic contamination to be identified and amplified to aid detection and removal. T and ST throat detectors are capable of detecting metal particles smaller than 0.5 mm in diameter for all metal types, including ferrous, non-ferrous (including aluminium) and non-magnetic stainless steels. Al Thika Packaging is an exclusive distributor of Mettler Toledo in the Middle East. Since 1994 Al Thika has been supplying a wide range of machinery including Garvens dynamic Checkweighing systems, Safeline X-ray inspection, Safeline integrated metal detection systems and CI-Vision product inspection systems for food and non-food industries in Dubai, Abu Dhabi, Sharjah, Fujairah, Ras Al Khaimah, Ajman, Umm Al Quwain, Al Ain – UAE, Saudi Arabia, Pakistan, Bahrain, Oman and the many other Gulf countries. 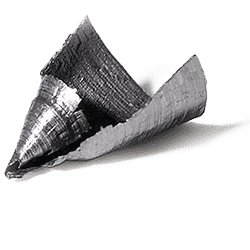 The use of ultra-high frequency operation and multi frequency technology combined with new software algorithms enables the signals given off by all metallic contamination to be identified and amplified to aid detection and removal. T Series detectors are able to identify all metal contaminants in food products including non-magnetic stainless steel which can be difficult to detect. Installed as standard to all T and ST Series throat metal detectors is Safeline’s renowned Auto-Balance Control and Enhanced Noise and Vibration Immunity systems. These features deliver long term in-process performance and stability reducing the risk of false rejects, minimising product waste and increasing operational efficiency. Vertical packaging metal detector, controlled from a full-colour touchscreen operator interface, for inspecting free falling products in-flight. Vertical packaging metal detector, controlled from a membrane style operator interface, for inspecting free falling products in-flight. Vertical packaging metal detector, with full-colour touchscreen operator interface, optimised to deliver maximum sensitivity for inspecting free falling products in-flight.